Two previous Democratic nominees for the seat — vacated when state Rep. Vanessa Lowery-Brown resigned following her conviction on bribery and other charges — have bowed out after questions emerged surrounding their residency in West Philadelphia. This paved the way for Johnson-Harrell, who ran against Lowery-Brown in the 2016 primary, to be the party’s third nominee. Below, Johnson-Harrell talks about why she’s decided to run again and why it’s time for gun violence prevention to be a top priority in Harrisburg. Your Democratic nomination on Sunday night was unexpected to many. What made you choose to run for office again? For me, it was never about being a politician. It was about carrying a voice for the community that advocated for safer streets and more resources. It’s about the work. Not winning back in 2016 didn’t deter me from continuing to do all I can to protect my community. When I got the opportunity to work at D.A. Larry Krasner’s office, I made a pledge to continue to do amazing work under his progressive administration. While working as an interim supervisor of Victim Services, I was able to provide resources people didn’t know about. My work to create the Crisis Assistance and Resources to Empower Survivors (CARES) model raised $1.6 million and produced 14 jobs. Doing this work served as a natural transition, and once the unique opportunity presented itself for me to run again, I was ready. How have your life experiences prepared you for this moment? I’m originally from West Philly, married, and raising four children. I went back to school in my late 20s and later graduated from Penn with three degrees. When my children were young and told me they knew nine victims of gun violence, my husband and I decided it was time to move out of the area and into Germantown. I had already lost my father and only brother to gun violence, and I wanted to break the cycle. That didn’t change when my 18-year-old son was shot to death due to being mistakenly identified. That traumatic experience propelled my work, and I came back to my community to advocate for gun violence prevention so people could see how it impacts those on both sides of the gun. I founded the CHARLES Foundation, named after my son, in 2013 to empower the community and push for more gun violence prevention. If elected, what issues do you plan to focus on in Harrisburg? Young people need to be empowered and given more opportunities besides the option to pick up guns. This can only happen through prioritizing education, jobs, and economic opportunity. We need to expand business corridors in the district, such as the Market Street and Lancaster Avenue corridors, that can help pump money and reinvestment in the communities where our people live. Gun violence prevention is a major issue that needs to be a top priority in Harrisburg. I will advocate to bring back focus deterrents that helped reduce homicide, but with more social services provided to help enforce positive peer pressure on those excessively exposed to gun violence. Overall, we need to create more opportunities and doors for our children to open. Many who I speak to in the district don’t think they’ll live past age 25. We need to change that. You’re the Democratic nominee in a special election where many already consider you to be the presumptive winner given the lack of an open party ballot. Do you find such a process democratic for voters? Special elections is how the Democrats fill a vacant seat. My real concern is that I want to make sure that committee people and constituents in the district are more included in the conversation going forward. The issue with special elections is that decisions are being made very fast between ward leaders, who have the final say in who gets the nomination, and others in the community aren’t able to keep up. I truly believe that if the community was initially included more in the nomination process, I would have immediately been the Democratic party’s first pick and not the third. 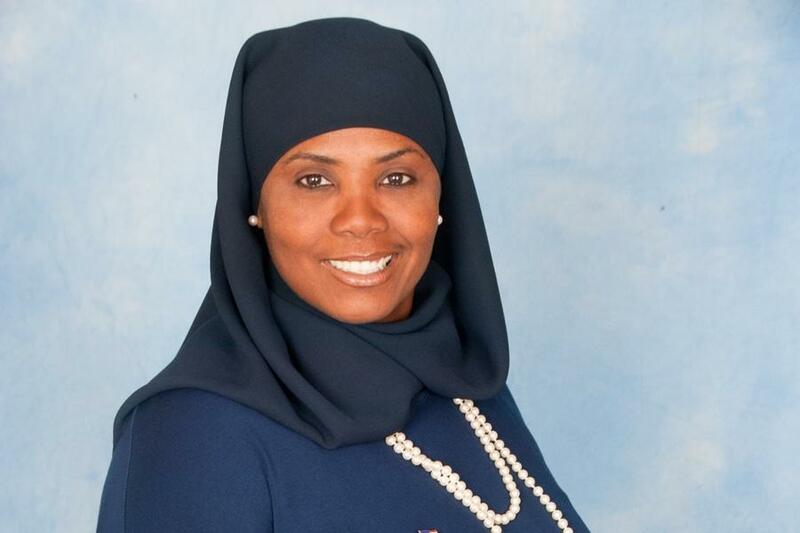 If elected, I will be the first Hijabi (covered Muslim woman) to be elected to the State House. It’s my faith that’s got me here and has kept me going. I’m running because I care about my community — I don’t need a job. Many people enter politics looking for a career, money, power, fame — I’ll be personally taking a $20,000 pay cut if I become the next state representative. My motivation for doing this work is that I want to see our boys stop dying. People should also know that my work ethic cannot be matched. And lastly, while I am the third choice, I am grateful that the Democratic party has put their trust in me. I think I can get a lot done in Harrisburg.